Since being introduced to the South African Market in 2005, the Fortuner range has led the South African SUV market with its unmatched style, performance and value for money. So, there’s a lot to live up to, making this new generation launch one the biggest and most anticipated for Toyota in years. The brief for FCB coming from Natasha Eddie, Senior Manager: Advertising and Digital, was to capture the capabilities of the new model showcasing off- and on-road performance, comfort, versatility, safety and security all in one sleek and powerful luxurious package. Targeting predominantly men between 35-49 years old in the 8-10 LSMs, the agency’s response includes television, print, radio and outdoor, running to end June this year. 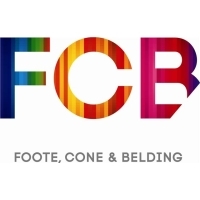 FCB Joburg’s creative team of Chief Creative Officer Brett Morris, Creative Director Tian van den Heever and Designer Janine Kleinschmidt was responsible for the campaign’s development. They worked with They Shoot Films on the television commercial, which was shot over three days in Knysna. Blade and Freq’ncy handled post-production of the ad. The Big Idea driving the campaign is a vivid juxtaposition of treacherous conditions and foul-tempered weather on the outside and the comfort and tranquillity on the inside of the Fortuner. The TV ad features a family, living in a very large luxury estate, relaxing in their home as heavy rain pours outside. Despite a massive storm, the father chooses to venture out of the calmness of his home and into the chaotic conditions to fetch the paper from the post box, a few minutes’ drive away from the house. Of course, he chooses to do so as casually as if fetching it from the lawn on a bright sunny day, because his Fortuner ensures ease, safety and comfort no matter the conditions. As he drives out the storm causes a branch to fall into the road ahead, forcing him to take an off-road route. The Fortuner cruises happily through driving rain, powering through rivers of rainwater and mud. On the inside of the car the father is looking completely relaxed and comfortable, a smile on his face, while Lou Reed’s “A Perfect Day” plays rather ironically in the background to complete the juxtaposition. It’s a fitting contrast to highlight the unmatched comfort of the Fortuner regardless of what the outside world throws at it. As he gets to the post box the howling wind rips it from the ground and carries it away, but he simply turns back to his Fortuner with an unfazed smile as if to say, it is a “Perfect Day”. The radio ad features a personal assistant outlining her boss’s day for him. She highlights the rough driving he’ll have to do to get to all his scheduled meetings in time. His response is breezy, unperturbed and eager to take on the challenge in his Toyota Fortuner. “For the past decade now, the Toyota Fortuner has proven it’s got what it takes to tackle the rugged South African environment without having to sacrifice comfort,” said FCB Creative Director Tian van den Heever.